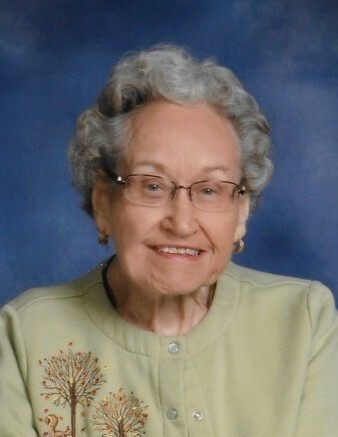 Delores M. Voss, 90 of Fergus Falls, MN passed away on Saturday October 13, 2018, at PioneerCare in Fergus Falls which had been her home since early January of this year. Delores Mae Voss was born on May 16, 1928, to Arthur and Lida (Beushausen) Vorwerk of Doran, MN. Delores grew up on the farm with her siblings Phillip, Julia, Wallace, Beatrice and Richard Vorwerk. She attended school in Doran and graduated from the Breckenridge High School. Delores married James Voss at Campbell, MN on October 28, 1950. They lived on the farm west of Campbell, for nearly 43 years, before moving to Fergus Falls in retirement. Delores and James were married for 62 years and raised four children: Beverly, Gary, Dan and Barbara. Delores was a hard working housewife, and an active member of Faith Community Church in Campbell, while living on the farm. She loved gardening, was a fantastic cook and always baked fresh goodies every week. She belonged to a Homemakers club in the Campbell area. Later, Delores was an active member of Church of Peace United Methodist in Fergus Falls and a volunteer for Meals on Wheels. She loved her children and grandchildren, was blessed with ﬁve great-grandchildren and was looking forward to welcoming a sixth in January. She had a wonderful time with friends and family, at her 90th birthday celebration hosted by her children, this past Mother’s Day. Delores was preceded in death by her father and mother, husband James, sisters Julia O’Leary, Beatrice Mielke, brothers Phillip (Bernice), Wallace (Idella), and Richard Vorwerk; daughter-in law Carol (Schroeder) Voss; and grandson Michael Voss. Delores is survived by her children, Beverly Davidson of Dallas, TX, Gary (Susan) of Byron, IL, Daniel of New Hope, MN and Barbara (Tim) Gorsegner of Palmyra, WI; grandsons Dana (Ashley) Voss of Byron, IL, Sean Gorsegner of Palmyra, WI, Zachery Davidson of Dallas, TX, Andrew “AJ” (April) Davidson of APG in Maryland, and Samuel Davidson of Dallas, TX; great-grandsons Tristan and Tanner; great-granddaughters Charlotte, Clara and Tenleigh; brother-in-law Gil (Ardella) Voss; sister-in-law Betty Vorwerk; cousin, Esther Zielicke and her late husband’s cousin Elaine; along with many nieces and nephews. The family wishes to extend our sincere thanks and appreciation to the caring staﬀ at PioneerCare Center. In lieu of ﬂowers, memorials may be given to either the Pleasant Hill Cemetery Association or Church of Peace United Methodist. Funeral Services: 10:30 AM, Saturday, October 20, 2018, at Glende-Nilson Funeral Chapel in Fergus Falls. Visitation: 4-7 PM, Friday and one hour prior to the service on Saturday at the funeral home.